Most important – don’t try to explain what it means, try to develop wonder and imagination, try to encourage experiencing and noticing. This isn’t a left brain experience. But then neither is religion a completely left brain experience. Advent is a journey toward celebrating the birth of Jesus. Birth is the most natural thing – we are all born. But Jesus’ birth is also mysterious and surprising. Today on the first day of Advent we celebrate the gift of hope and to have hope we need imagination. We are starting our Advent journey with a very special journey to develop our wonder and our imagination – walking our Advent Spiral. What is a spiral shape. Show picture and trace how the path curves and turns and how you can follow the path inside or follow it to the outside. There are many spiral shapes in nature. Overall the goal is to emphasize that they are very natural but involve mystery, to remind of the turnings of spirals, and that spirals are created because of growth and energy. Pinecones – show one. Demonstrate how they start small and then grow outward. Shells – show how from the outside you can’t tell that they are spirals except by looking at their ends. The little animal starts with a tiny house and as they grow they make it larger by building it out in a spiral shape – demonstrate. We can see the outside but the center is a mystery – only the animal knows what it looks like. 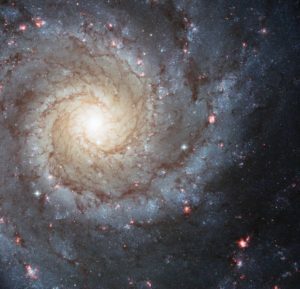 The biggest spirals are galaxies, star neighborhoods, including the one where our earth lives, the Milky Way. 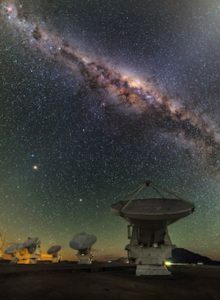 Show picture of Milky Way – can’t tell it’s a spiral because we are in it, we can only see across it. Show picture of a spiral galaxy – stars form and are grouped in a spiral shape. Only see the shape from far away. Scientists agree that energy causes the spiral shapes. And there is a lot of mystery about the center of spiral galaxies. Today we will all take one of these unlit candles and walk slowly through our Spiral. As you walk take time to notice and thank God for the many wonders of nature you see – creatures, plants, and the stuff of our earth – rocks. At the center you will find a surprise and get your candle lit. God gives us light to share so as you slowly walk back out of the spiral find a place in nature to leave your light.